It might seem like scientists and other experts have all tried pretty much everything they can to eradicate pesky mosquitoes from the planet. But now, to fight Zika and other kinds of viruses carried by them, a new team of researchers based out of South Miami has decided to simply go after their progeny. According to a report on the plan, the effort is part of a broader initiative called the Miami-Dade County Mosquito Reduction Test Program, which is a collaboration between the University of Kentucky and biotech company MosquitoMate. It involves releasing lab-bred mosquitoes into the wild to depopulate the local mosquito population. You read that right: the researchers are going to fight mosquitoes with mosquitoes on their own. The difference is that they’ve got lab-bred mosquitoes that have been infected with a virus known as Wolbachia, which occurs naturally and can be found in many insects, so there is no genetic modification necessary. In a video made about the project, the researchers say that Wolbachia is an effective weapon because it will stop the mosquitoes from reproducing properly. “Wolbachia is special because it can prevent an insect from reproducing,” they said. There will not be an immediate effect that can be seen once the lab-bred mosquitoes are released, but after they mate with the female mosquitoes, the resulting eggs will die before they hatch. 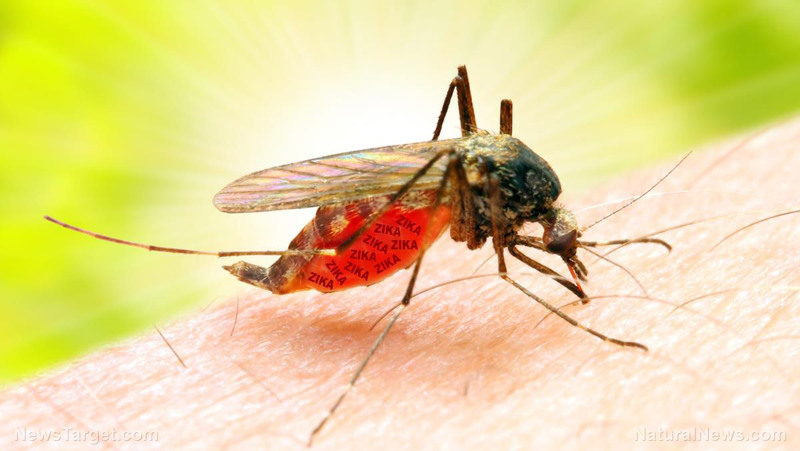 The plan is expected to be highly effective in combating the infamous Aedes aegypti mosquito, which is known to carry a wide range of diseases, including dengue fever, yellow fever, and of course, Zika. The research team promises that their plan won’t result in people getting more bites. Although the mosquito activity in the affected areas will indeed rise, the plan involves releasing only male mosquitoes. And males don’t bite or feed on blood. In case you were wondering how exactly the researchers can infect their lab-grown mosquitoes with the Wolbachia virus without going down the genetic modification route, it’s all thanks to a method that is based on sterile insect control. It’s a strategy that has been known and long used in controlling pests in agriculture. And now it is being used to infect male mosquitoes as part of the operation. Once the males mate with the females, their infected sperm prevents the resulting eggs from being fertilized. And that’s more than enough to cause the interruption in breeding needed by the researchers. This method has been used at least one other time in the past: In an earlier effort, MosquitoMate collaborated with Verily Life Sciences, a sister company of Google, in order to released bacteria-infected mosquitoes in Fresno, California. The overall plan was the same back then — release the infected male mosquitoes and have them mate with the females, then wait for them to lay eggs which will never hatch and eventually die. Although they were able to easily assuage any concerns regarding the use of genetic modification, it’s still unclear what exactly the teams behind the effort intent to do in case something goes wrong. After all, it’s not outside the realm of possibility for the bacteria in the lab-grown mosquitoes to somehow mutate, and that could end up becoming a problem for humans. Also, it’s clear that they have acquired permission to conduct their testing — the same as last time — in an area where the general population lives, and where some people may not necessarily approve of it. So even if it were truly effective, shouldn’t it have been necessary to gather everyone’s consent before proceeding first? Sure, some people are going to be happy with the effort. But it’s important to keep a close eye on the outcome to find out what can be done to improve it in the future. Find out more about what’s being done in the fight against Zika in ZikaTruth.com.